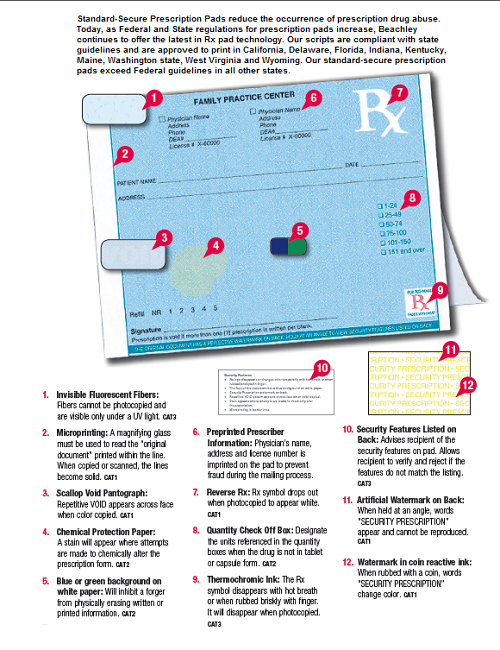 Beachley is a reseller for Wilmer who is an approved security printer in the State of Washington that meets State regulations. 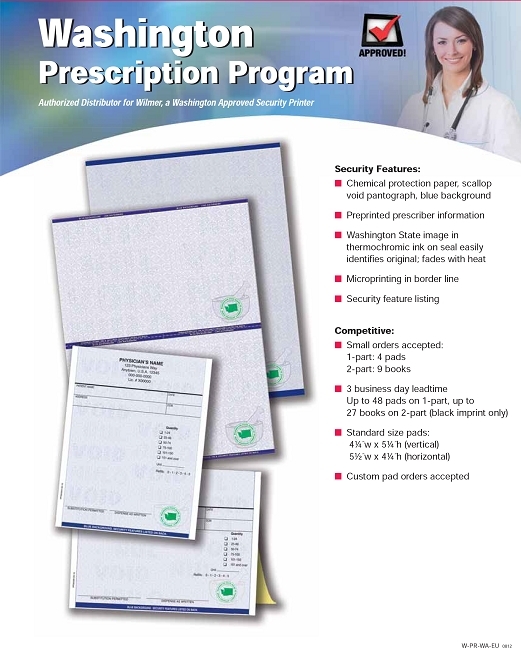 We have a guaranteed 3-5 business day lead time on black imprint orders (up to 40 pads). 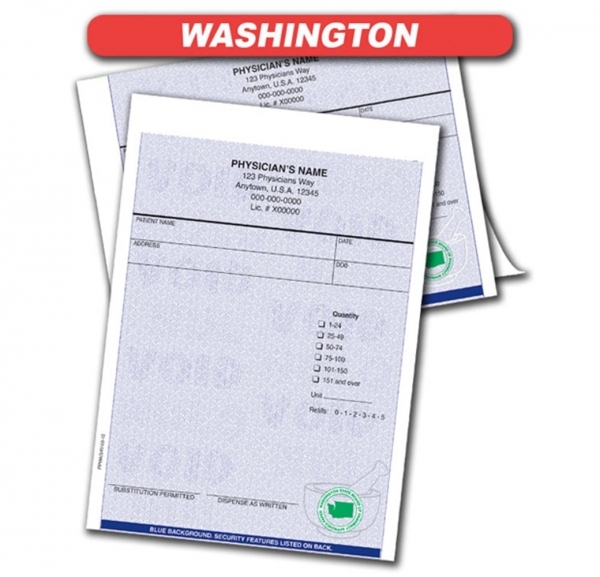 Our standard Washington scripts are offered in 5-1/2"w x 4-1/4"h (horizontal) or 4-1/4"w x 5-1/4"h (vertical) formats with 100 sheets per pad.